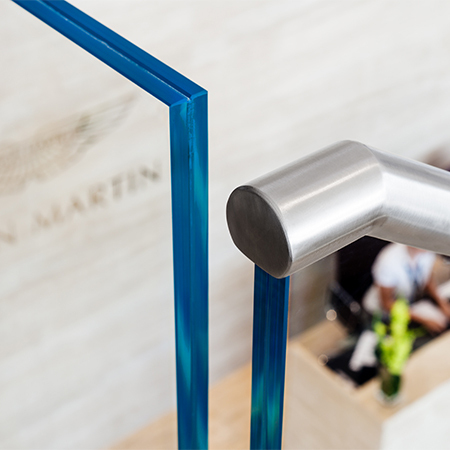 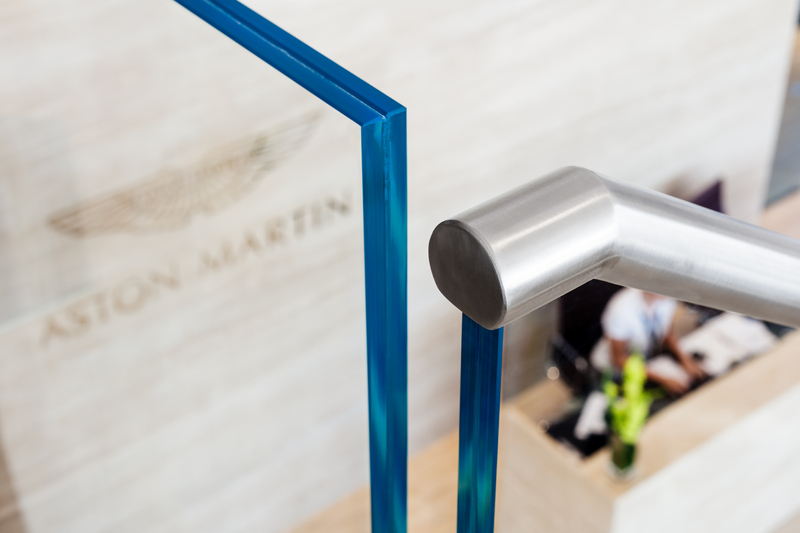 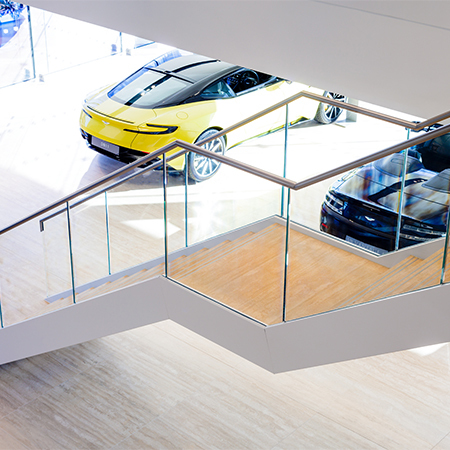 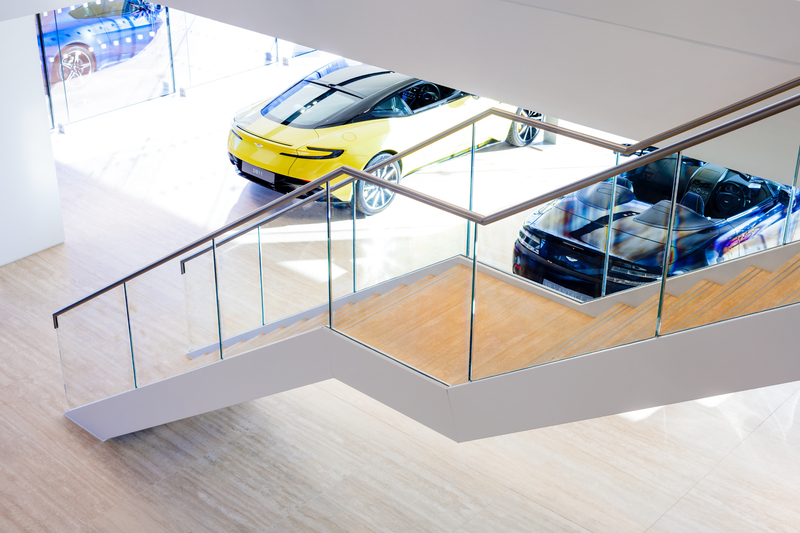 M&G Olympic Products Ltd manufactured and installed a bespoke Stainless Steel Atrium feature stair case for the Aston Martin Showroom in Nottingham. 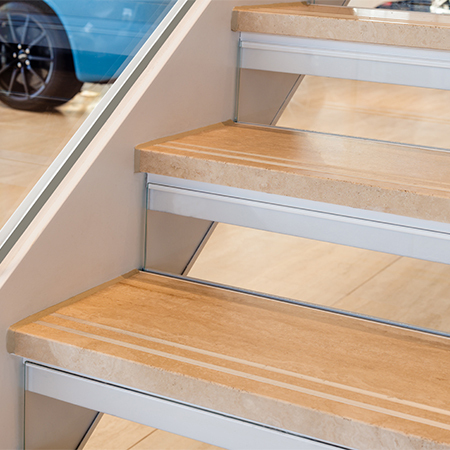 The staircase includes twin flat bar stringers with structural glass balustrades. 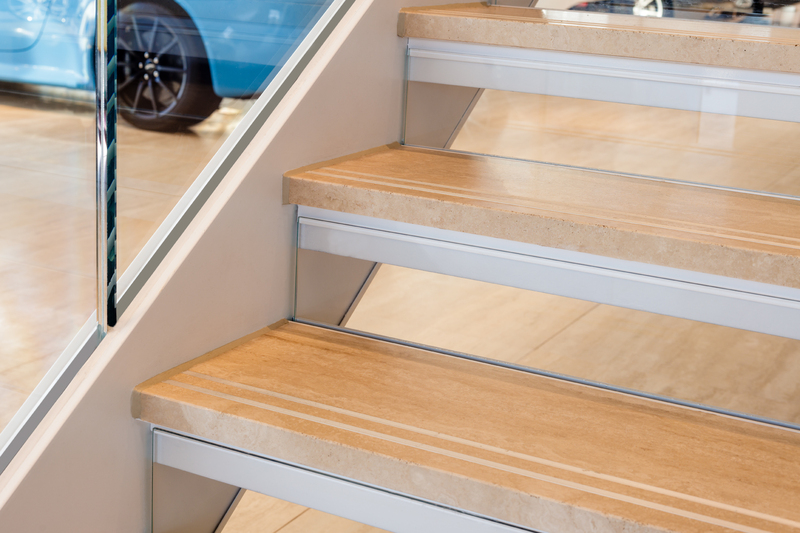 They also incorporated timber lined folded treads and a recessed stainless steel handrail that was fully bespoke and fully welded.